Harvard trained, double Board Certified, Newport Beach Plastic Surgeon, Juris Bunkis MD, FACS, has over 35 years of experience in cosmetic and reconstructive surgery. He is the Medical Director and Owner of Orange County Plastic Surgery. His private cosmetic practice features offices in both Newport Beach and Dublin, CA. Dr. Bunkis uses up-to-date and innovative surgical approaches to plastic surgery operations and procedures. He is widely regarded as a talented, meticulous, and attentive surgeon, which is reflected in his insightful and warm demeanor. Plastic surgeons from around the world can be seen visiting Dr. Bunkis at Orange County Plastic Surgery. His caring attitude extends to his philanthropic work and volunteer efforts as well. Dr. Bunkis has also operated, lectured, and presented scientific papers throughout North/Central America and Europe. Dr. Bunkis has published a wide range of scientific articles and has also contributed numerous chapters to various medical textbooks on the subject of plastic surgery. In recognition of his assistance in bringing modern plastic surgery education to the Czech Republic, he received honorary memberships in the Associatio Medicorum Bohemoslovacorum J.E. Purkyne and the Societas Bohemoslovaca Chirurgiae Plasticae in a ceremony at Charles University in Prague, Czechoslovakia in 1992. Upon graduating from the University of Toronto Medical School, Dr. Bunkis completed a general surgery residency at the Mary Imogene Bassett Hospital, Columbia University in New York and the Beth Israel Hospital, Harvard University in Boston. This was followed by board certification in general surgery. He subsequently returned to Harvard University to complete a residency in plastic and reconstructive surgery. In 1981, he became board certified in plastic surgery and joined the plastic surgery faculty at the University of California at San Francisco School of Medicine as assistant professor of surgery for the division of plastic surgery. During this time, Dr. Bunkis served as chief of plastic surgery at the San Francisco General Hospital. Dr. Bunkis has been in private practice, specializing in aesthetic surgery since 1984. Dr. Juris Bunkis is an internationally known plastic surgeon, diplomat of the American Board of Plastic Surgery, and a fellow of the American College of Surgeons. He specializes in both surgical and nonsurgical cosmetic procedures. 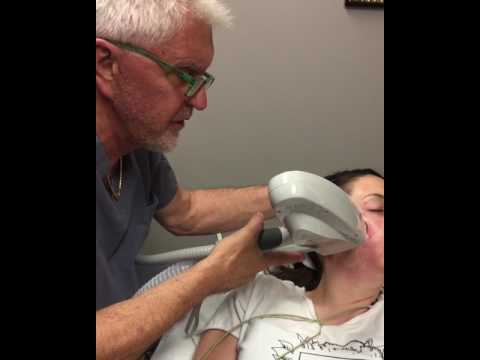 Such procedures include his Natural A to V Facelifts, brow lifts, eyelid surgery, nasal surgery, cosmetic breast surgery, tummy tucks, liposuction and body contouring, laser skin resurfacing, and various noninvasive office procedures. Dr. Bunkis is one of the handful of plastic surgeons in the Newport Beach area who performs buttocks, pectoral, and calf implant surgery. In 2010, Dr. Bunkis assisted his wife, Tina, with the launching of the MD Performance® professional skin care line of products. He is an innovative plastic surgeon and teacher, whose skills and artistry are sought from patients around the greater Los Angeles area and rest of the United States. California Society of Plastic Surgeons. Dr. Bunkis cares very deeply for his community and thoroughly enjoys serving others beyond his plastic surgery practice. He has won numerous awards for his philanthropic work, including, Man of Character Award, presented by the Orange County Council, Boy Scouts of America. Dr. Bunkis is a volunteer deputy with the San Bernardino County Sheriff’s Department, serving on the Special Services Bureau. He is also an instrument rated, commercial jet pilot and is the Treasurer and sits on the Executive Committee of the Los Angeles Diplomatic Corps, in his role as the Honorary Consul for the Republic of Latvia. In his free time, he loves spending time with his wife Tina, his adult children and his granddaughter, and going on family vacations together. Skilled Plastic Surgeon, Dr. Juris Bunkis, is the Medical Director and Owner of Orange County Plastic Surgery in both Newport Beach and Dublin, CA.